Blog: Mortgage Rules How Much Home Can You Afford? 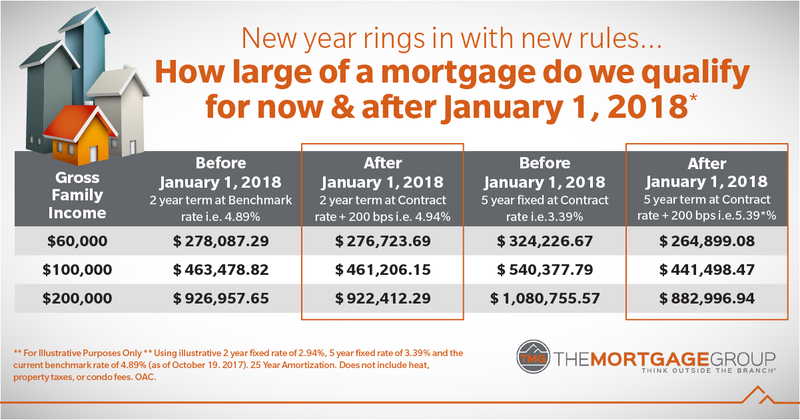 So, this is how nasty it will be for you if you are buying a home after January 2018! I don't have many clients who take a 2-year mortgage term, it is usually between 3 to 5 year terms that they choose. Notice the difference in $$$ that you will qualify for after January 2018. If you make around $60,000 you might be able to qualify for a 1-bedroom condo.... maybe! Talk to your mortgage professional right away to be sure you are informed with regards to your personal situation.